Accounting Horizons - Philippine distributor of magazines, books, journals, etc. Accounting Horizons, a journal of the American Accounting Association, is a publication providing news and analysis of accounting. 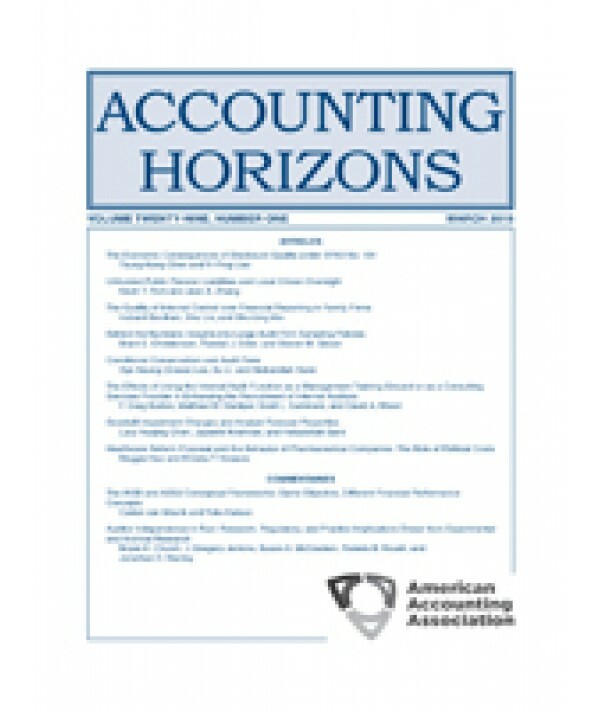 This journal seeks to bridge academic and professional audiences with articles that focus on accounting, broadly defined, and that provide insights pertinent to the accounting profession. The contents of Accounting Horizons, therefore, should interest researchers, educators, practitioners, regulators, and students of accounting.